“Surprise” don’t let those foo foo haircuts fool you, the poodle was originally intended as a sporting dog. Elegant. Proud. Clever. Poodles are impressive dogs, as the many best-in-show winners from this dog breed can attest. Behind the blue ribbons, impressive hairdos, and regal attitude, you’ll find an affectionate family dog with an ancient history and many talents. 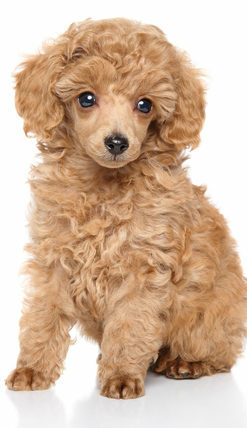 Poodles are bred in a variety of sizes, distinguished by adult shoulder height. TLC Kennel is proud to offer both the miniature and toy size in this breed.